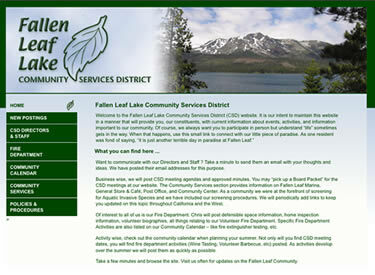 Fallen Leaf Lake Community Services District wanted a website that would serve as a place for their governing board, staff, and members to access information. We designed an easy-to-use site that reflected the organization's personality. This site served the District well for several years. The Board then decided to move to a site designed for other purposes, and we hope it serves them well in the future.